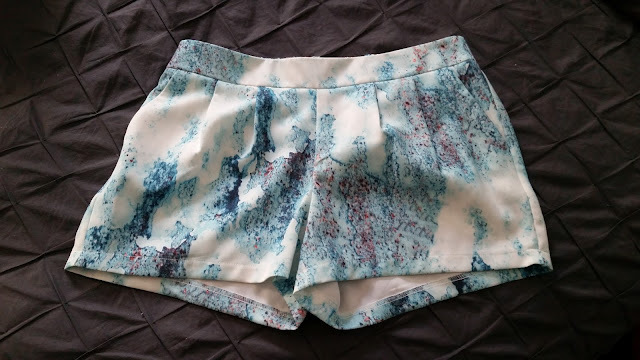 Long time readers of this blog will know that almost all of my shorts are from The Weathervane which is a store that is so old that it doesn't even exist anymore. So I really needed some shorts. I found some at Target and I'm happy to say that I have now added some cuter and more adult shorts to my wardrobe. These shorts are so comfortable! 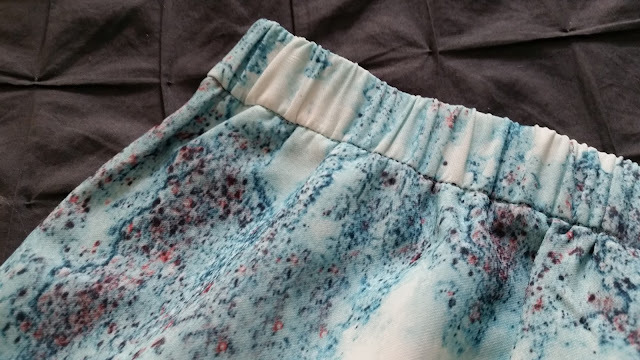 The fabric is soft and they are loose enough so that when I'm walking it almost feels like I'm wearing pajama shorts. The front does have pleats, which I was initially unsure of, but once I tried them on I realized that they look fine. They don't have any buttons or a zipper, you just pull them up. The front of the waist band is flat and the back is elastic. Again, it's almost like pajamas, just fancier material. Check out my OOTD video if you want to see the whole outfit!